Exclusive Interview with Josiah Ng - Cyclist. Entrepreneur. Olympian. We presume Josiah Ng wakes up fresh everyday, just like that morning as we watch him go round the track. He may be cycling for 20 years and has been labelled “veteran”, but he is still going strong. Just days ago, he won the 1km time trial in the National Track Cycling Championships despite being the oldest in the race, and a race not quite his favorite. He is now 33, our National Track Cyclist. Josiah Ng is going stronger than ever. Kim Ong, his other half, also his publicist was around too. The BaikBike Team caught up with this cycling superstar just a day after the National Track Cycling Championships. BB: So… How have you been lately? Josiah: Pretty good life I suppose! Waking up every morning and go straight to playing. *chuckles* This is what’s so great about having a hobby as a career. I’m doing something I’m truly passionate about. For me it is all about finding something you love doing and figure out how to make a living out of it. Yes it can be tiring but at the same time it is motivating. I am always tired but I guess it is a different kind of tired. BB: It’s nice how you tell us about making a living out of something you love! Tell us about your journey making cycling a career. I have learnt from a young age to be a go-getter. It was survival at the purest, because I didn’t have a choice! At 18, I was kicked out of my family home since I was adamant about pursuing my interest in cycling. Since then, it was all about trying to survive with whatever I can, keeping myself afloat by taking odd jobs, including teaching violin. From then onwards, I realized that I would do anything to ride my bike. This is a story of someone who wants something so bad, reality sets in and he has find a way out. I never had big dreams during my teenage years. All I wanted was to ride my bike. Josiah: Unlike most cyclists who are “gifted by birth”, or have great talents and traits inherited from a sports-oriented family, I come from an average family with no sports background, nor a supportive family in my venture of making cycling a career. My fitness level is only average so I try doubly hard, triply hard to get what I want so badly. I have invested my whole life into cycling. It is all or nothing. No Plan B and no plans for failure. 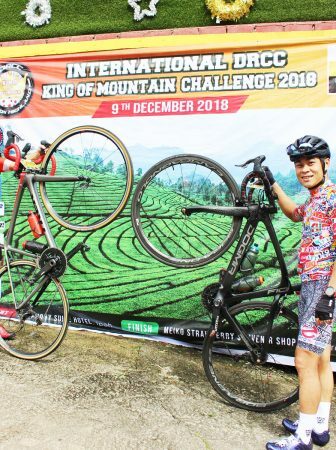 Josiah: Cycling is my full-time job but in the process, I have also been acquainted to many people, developed many interests and discovered many opportunities. As of now, I am having fun exploring what opportunities and leaving many doors opened. I love building businesses from scratch and develop an idea into a venture. First on my list is Spectablend. Spectablend is a blender specifically for protein blends. It started from a solution. I needed a powerful commercial blender and most of which that I want are not affordable! Since it was such a rare find for affordable protein blenders, my team sourced for it and brought it to Australia. The objective is to make eating healthy and easy – Affordable. It has not been launched yet and the plan for now is to have them sold solely online. 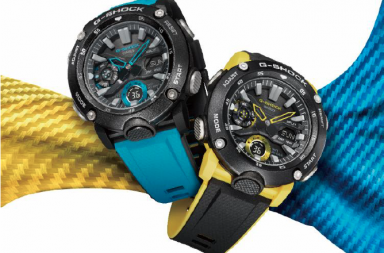 Retailing at AUD299, it is the most affordable model in the market given the specifications. Another venture of mine is also a solution. 5 Bling is the only track cycling gloves in the market. Fact: The name “5 Bling” comes from Josiah’s surname (Ng) in Cantonese, paired up with the fact that he likes everything bling! 5 Bling is being distributed overseas in a few countries however we are still in need of Malaysian distributors. This range of gloves fulfills the gap of track cycling needs. Before this, there was no specific gloves for track cycling and I thought to myself, why not make one? The 5 Bling gloves have track cyclists in mind. It is aerodynamic and no padding is required. These are long lasting gloves, washable and competitively priced. Safely say, these are the leading track cycling gloves in the world. Personally designed by me; Designed for the athlete by the athlete. Last but not least, it is the much hyped-up dual view sports camera —Spectacam. This has been wildly spread on the internet however to develop it, we will require further funding. This idea came up when it all started from a topic that a helmet mount camera is insufficient. The development process of this is difficult as we have to learn the basics of engineering and camera how-to. There was good publicity and had some media mileage with it, and we know this will be a great product. BB: Those are a lot of business ventures to work on right now given the fact that you have been traveling much lately! So are there more things you would like to do? Josiah: My wife, Kim has been helping me on corresponding with our partners, and distributors. She has been a great help! 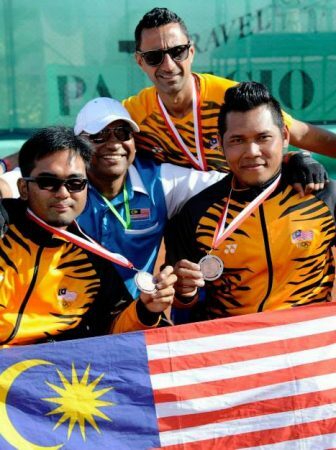 Other than all these business ventures, I have a vision for the Malaysian track cycling market. What we have now is not enough, and there are only very few who would like to try out track cycling. The trick is to make it cool, make it edgy because it is as exciting as any game! 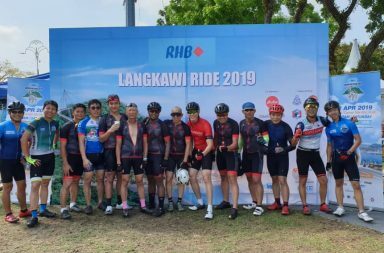 I have been fortunate to be raised overseas in a heavy cycling-friendly culture, and my vision is to bring this back to Malaysia and make it mainstream. I suppose my role is no longer just a national track cyclist. It is our job now to get more people excited, to see the velodromes put to good use. This is our way to give back to society. 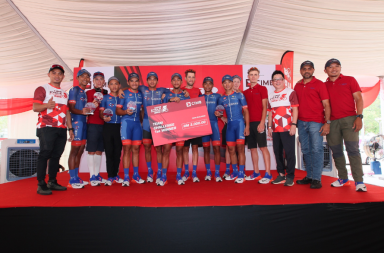 Azizul and I could capitalize on the international stage and translate that into building the local track cycling community. When we finally retire, we could leave a legacy behind. So answering your question – my next project is to use my success to breed the next generation. BB: Sounds exciting! As a Chinese saying reminds us to not forget the “woman” behind every successful man… You look like you have a lot of plans queued up for attention, seems like Kim has been running many shows for you! So Kim, tell us about your role, being a full-time wife and publicist using your experience in digital marketing. Kim: As a full-time wife, I try to be positive in every way. There are days when he could be down but if I start feeling down or depressed over some events, he will too absorb the negativity around me. Personally, I strive to be optimistic and am a firm believer in being positive by focusing on the next goal. I suppose that helps psychologically in that frame of mind. Also as an athlete’s wife, I am very much molded into the sporting world. In terms of nutrition, I do whatever I can to monitor his diet and insist that the nutritionist talks to me personally on the nutrition and diet he needs so that I could understand better. Unlike when we used to date long distance, we are now pretty much attached all the time. In terms of the operational matters of his business ventures and sponsorships, I do whatever I can. I have been trained in digital marketing so I try my best to assist him in every possible way. BB: Next big thing for Josiah? Josiah: In 2016, I will be going into my 4th Olympic games. My dream wasn’t fulfilled in London, but this time I am training even harder to live up to the standard. Josiah Ng has been living his life true to his beliefs – Hardworking, Determined, Persistent and Optimistic. 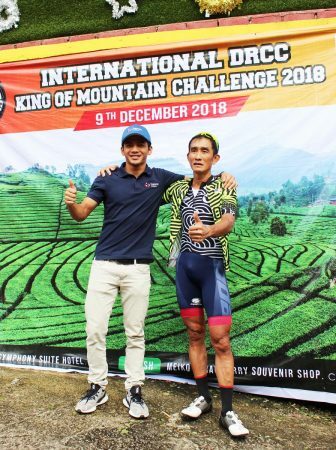 With the help of his lifetime partner, Josiah will rise to greater heights, possibly as a cycling personality in Malaysia we have never seen before. This name lives on as a legend who single-handedly brought track cycling into Malaysia and pushed us into the international stage. Follow Josiah on his Facebook Page and Twitter. LTdF 2013 Stage 5: Cavendish’s collection continues to grow!